Hide this Project (Prakash Royal Elegance) Discover properties in other projects by hiding the ones that doesn't interest you. You won't see them in your searches further but you can unhide anytime later. Prakash Royal Elegance in Rahatani, Pune by Prakash Construction Company Pune is a residential project. The size of the Apartment ranges in between 635.08 sq.ft. and 773.0 sq.ft. Prakash Royal Elegance price ranges from 61.95 Lacs to 67.45 Lacs. Prakash Royal Elegance offers facilities such as Lift. This is a RERA registered project with registration number P52100016850. It is an under construction project with possession offered in Sep, 2021. The project is spread over a total area of 0.98 acres of land. 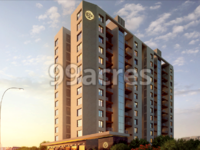 Prakash Royal Elegance has a total of 2 towers. The construction is of 12 floors. An accommodation of 79 units has been provided. What is the location of Prakash Royal Elegance?The location of the project is Rahatani, Pune. What is available flat size in Prakash Royal Elegance? Flat sizes in the project range from 634.0 sqft to 773.0 sqft. 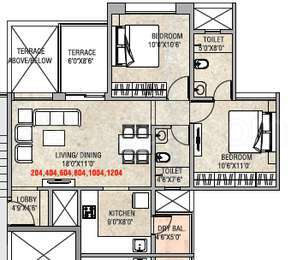 What is the area of 2 bhk in Prakash Royal Elegance? The size of a 2BHK unit in the project ranges from 634.0 sqft to 773.0 sqft. 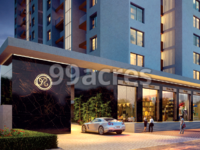 How much is the total size of Prakash Royal Elegance?The project is spread over an area of 0.98 Acres. What is price of 2 bhk in Prakash Royal Elegance? 2 BHK apartments in the project are available at a price of Rs. 6200000. What is the price of apartments in Prakash Royal Elegance? The units available in the project are priced at Rs. 6200000.